How do I check to see if my Business is currently listed in the directory? Once we approve of your profile, you will receive a second email with the subject "Registration Approved"
How do I list my Business in the online Directory? What are the dimensions of the Business Profile image? How do I update my Business listing in the Directory? My business is not displaying in the online Directory. Newly published directory listings will be available for search in the Directory within 24 hours. How do I add Manufacturers to my Directory listing? How do I post events? How do I post a Job Posting? How do I unpublish a Job Posting? How do I become featured on the blog? Please send us an inquiry via a private message on any social channel (FB, Twitter or IG). You must be a registered business located in the Design District. How do I submit a Blog post and what is needed to post it? DDD publishes one weekly blog post that is strategically planned, written and edited in advance. If you have an idea, event and/or promotion you would like to submit for blog post consideration, please send all information (details, instructions, timing and images) to features@dallasdesigndistrict.com. If you would like to be featured in one of our upcoming monthly interview spotlights, please specify this request and send to features@dallasdesigndistrict.com. ALL BLOG POST REQUESTS MUST HAVE YOUR CONTENT AND ANY AND ALL RELATED PHOTOS TOGETHER AT THE SAME TIME WHEN SUBMITTING YOUR POST. Partially-submitted posts will not be considered for submission. Since all blog posts are pre-arranged, we ask that you submit all blog post requests at least 30 to 60 days prior to the date you would like the post published. While we'll do out best to accommodate requests, there is a calendar in place so we can't guarantee a blog post will be produced for every idea submitted. What are the dimensions for the Blog images? Our team will format the images to fit the blog posts. How do I submit a Twitter post and what is needed to post it? 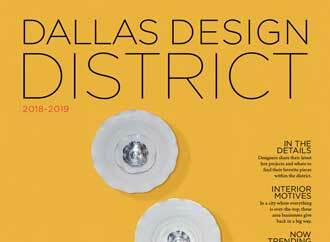 For Twitter post consideration, please email all information, including images, event details, invitations, special requests/instructions, press releases, etc., to features@dallasdesigndistrict.com. How do I submit a Facebook post and what is needed to post it? For any Facebook post consideration, please email all information, including images, event details, invitations, special requests/instructions, press releases, etc., to features@dallasdesigndistrict.com. How soon can I get an event posted on Facebook after I submit it to be posted? Please submit all post requests no fewer than 5 business days in advance of when you would like the post to appear. Posts will be published to a select DDD social channel based on the information provided. While we'll do out best to accommodate everyone, there is a running calendar in place and we cannot guarantee a post for every event/idea submitted. Note: We will not accept any posts about/push out liquidation, clearance, moving, or closing sales. How do I advertise on the newsletter? For newsletter advertising consideration, please submit your final artwork by the 3rd day of the month prior to when it will appear (i.e. - if you would like to advertise in the January newsletter - submit artwork by December 3rd) along with your preferred placement (top banner or interior banner) to pam@dallasdesigndistrict.com. All ads are subject to publisher's approval. Once your ad is approved, you will receive payment information. What size are the newsletter banners? How much do the newsletter banners cost? How do I advertise on the blog? For blog advertising consideration, please submit your final artwork by the 3rd day of the month prior to when it will appear (i.e. - if you would like to advertise in January - submit artwork by December 3rd) to pam@dallasdesigndistrict.com. All ads are subject to publisher's approval. What size are the blog ads? How much do the blog ads cost? When are the newsletters distributed? Newsletters are distributed the 1st Thursday of every month. How do I list my event on the Newsletter? All events that are shown on the Events calendar which are submitted by design district businesses will be automatically populated into our monthly digital newsletter. We will fill (4) upcoming events within each monthly newsletter. Can I list my event even if I’m not a registered business? For any special consideration to "non" Design District boundary businesses, please email your artwork and description to pam@dallasdesigndistrict.com. Newsletters are distributed around the 10th of every month. If you want your event to be included in our newsletter, then we must have your information and artwork no later than 4 weeks prior to the monthly newsletter launch date. For example, if you want your event to be included in the June newsletter which will be distributed on June 10th, then you will need to submit your artwork and request details no later than May 10th (4 weeks prior to the newsletter distribution date). Where can I obtain a copy of the latest map and listings? Downloading the Dallas Design District app on Google Play or iTunes.